(WP-500B) STANDARD FLASHMETER Direct reading in f/stops with f/2-f/22 range. 1/3-f/stop accuracy. Automatic, cordless operation. Built-in battery test. Easily set ISO dial. 3 x 4 x x". 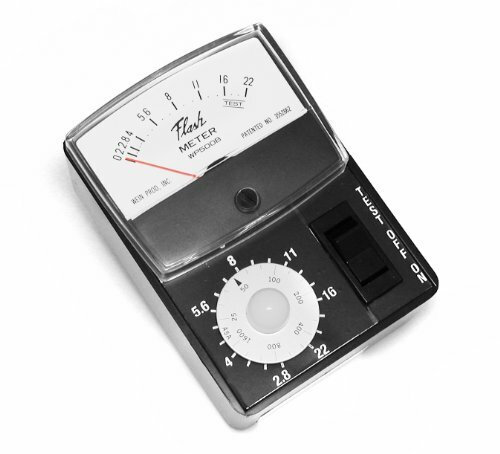 Uses one 9V alkaline battery (not included).These classic flash meters remain as popular as ever. They are accurate, rugged, reliable and inexpensive. Still the best value around. Ideal for students, schools and studios. Operation is totally cordless. Designed for manual, non-TTL applications. Uses one 9V alkaline battery (not included). If you have any questions about this product by Wein, contact us by completing and submitting the form below. If you are looking for a specif part number, please include it with your message.